Netflix has released the official trailer and second poster for the upcoming second season of their original series, House of Cards. The season, set to premiere all 13 episodes on February 14, 2014, has been critically and audience acclaimed after its first season was released on February 1, 2013. The second season features Kevin Spacey, Robin Wright, Michael Kelly, Kate Mara, Sakina Jaffrey, Constance Zimmer, Michael Gill, Sebastian Arcelus, Mahershala Ali, Ben Daniels, Nathan Darrow, Reg E. Cathey, Rachel Brosnahan, Gerald McRaney and Jimmi Simpson. The season will follow newly-elected Vice President Francis J. Underwood (Spacey) and his wife, Claire (Wright), as they continue their rise to power within the United States government. The second poster for the second season of “House of Cards”. 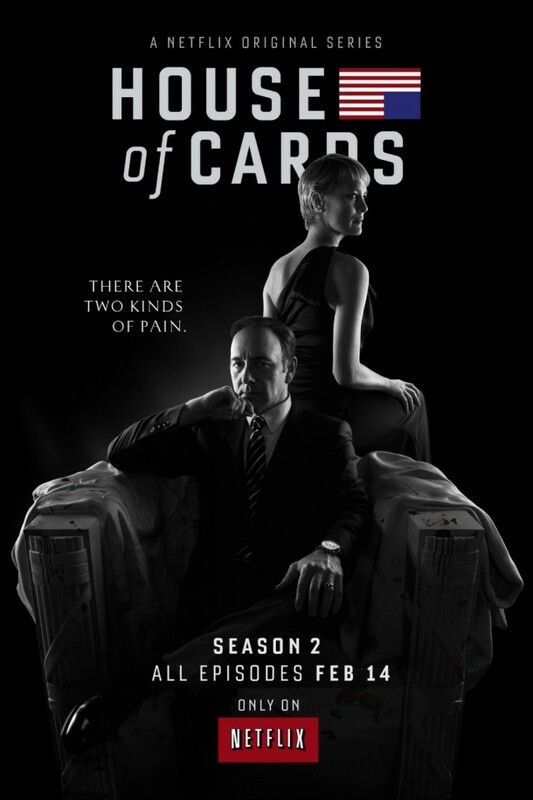 Comments for New “House of Cards” – Season 2 Trailer and Poster Released are now closed.